Many macaron lovers regard Laduree as THE ultimate benchmark for classic Parisian macarons. 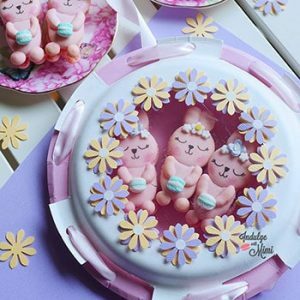 Sure, there are so many options nowadays like the innovative Pierre Herme or the elegant Maison du Chocolate but Laduree still seems to stand out as the industry leader. 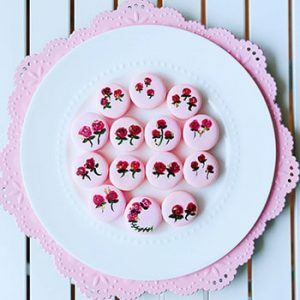 Perhaps its because of its unrivaled history and clever modern day marketing which marries so well together to make it into the powerhouse for macarons and desserts it is today. 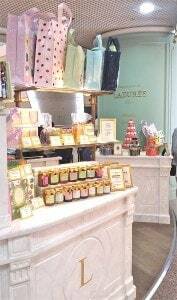 Established in 1862 it opened its doors in Paris, France by the Laduree Family. 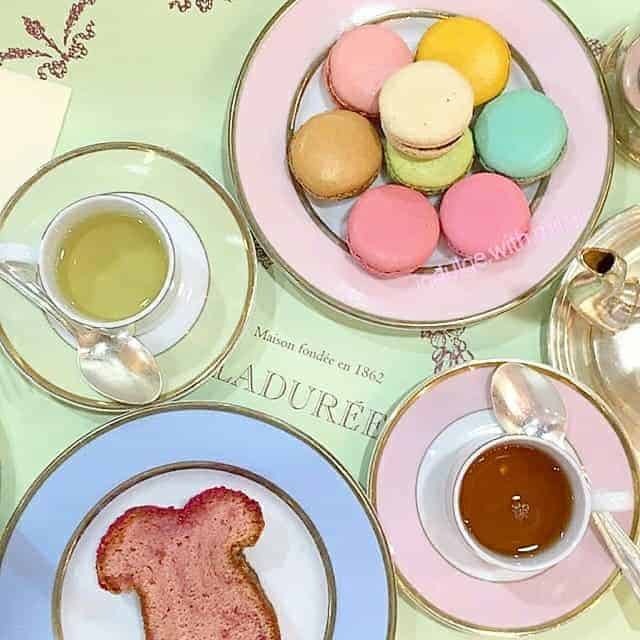 Today, under the guidance and ownership of the Holder Group, Laduree has branches on several continents including North America, Australia, Asia and the Middle East. 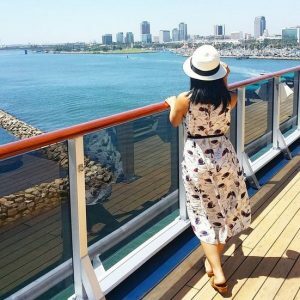 It’s a magnet for ladies who love all things pretty and feminine. 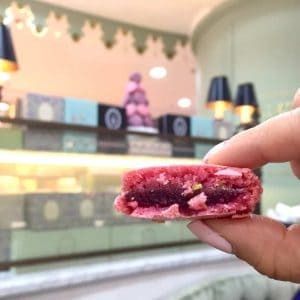 It’s not hard to indulge in the whole Laduree experience as they have thoughtfully expanded outside of edible treats and into accessories, candles and even cosmetics! As long as we macaron lovers are around, there’s really no stopping this Laduree train. If you profess to love macarons amongst other macaron lovers, one thing you’ll often be asked is, “Have you tried Laduree yet?”. Basically, it means you don’t really know macarons until you’ve had a Laduree macaron. At least that’s what they’d like us to believe (because Pierre Herme is pretty darn good!). I definitely fell into that category just a mere three months ago. It’s hard to believe that there was a time, just a little over a year ago, when I didn’t care about macarons or even know what they were. 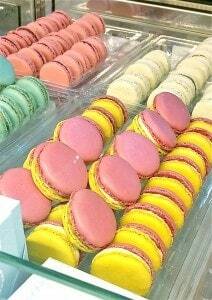 So although I have been to Paris before, I do not remember seeing a macaron let alone eating one while I was there. If I were to go today, I know I will definitely be gaining at least 10 pounds just trying all the French macarons they have to offer. I’m not trying to exaggerate. 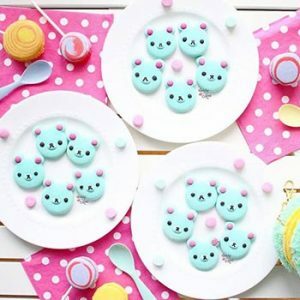 Really, one macaron is roughly 200 calories so that would work out to be 1200 calories for just a small box of 6 babies. 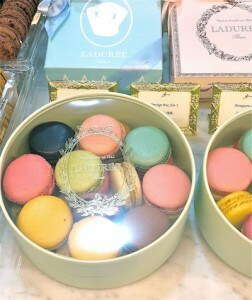 But I guess it would be totally worth spoiling a diet for if they were from Laduree and Pierre Herme. So even though I was not returning to Paris, I was excited to travel to a destination that sells these two brands. 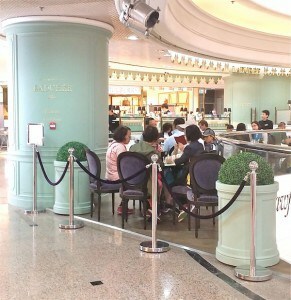 Laduree has 3 separate locations in Hong Kong. I know, a total of three for a tiny area of just 1100 square miles! And here I am hoping that they would open just one shop in Canada so that I could potentially have their goodies shipped to me. Bestie and I chose to visit the Laduree Tea Room location in Central Hong Kong because they offer a place to sit for afternoon tea. Real estate in Hong Kong is not cheap as you can imagine when 7 million people are crammed into this tiny yet energetic place. So unlike their European locations with the iconic street front facade, this one is located inside of a glitzy cosmopolitan shopping centre. Absolutely no words to describe how happy I was to share all of this with my Bestie! Not only did I have the best conversation partner right there with me but she was also such a trooper, trying all of these macarons and desserts with me all in one sitting. I don’t know about you, but I don’t personally know too many people who are willing to sabotage their diet to eat so much sugar with me at once. To go with our desserts, I chose the Marie Antoinette black tea and it is truly the most unique tea I’ve ever had. I didn’t give much thought to the tea prior to trying it but it definitely proved itselt to be more than just a sideshow. Here’s a description of the ingredients as listed on steepster.com which sells this tea – “Chinese black tea, rose and jasmine petals, essential oils, citrus fruit (grapefruit, lemon, orange, pineapple, tangerine, lime) and honey.” Look at that wonderful marriage of flavours, no wonder why it tastes so unique! 1. Marie Antoinette (blue) no distinct flavour and sweet like vanilla and honey. 2. Banana Chocolate (white) made with ganache and true to taste. 3. Lemon Passionfruit (orange) so good and refreshingly citrusy. 4. Rose Petal (soft pink) mild and floral. Love this soft floral flavour. 7. Pistachio (green) true to taste but mild flavored compared to others I’ve had. 8. Pink (cherry blossom) taste a little like a sweet fragrant raspberry. I really appreciated that there were so many flavours to choose from in the case. However, not all of them were represented on this guide and some of the flavours on this guide was not available in-store as well. 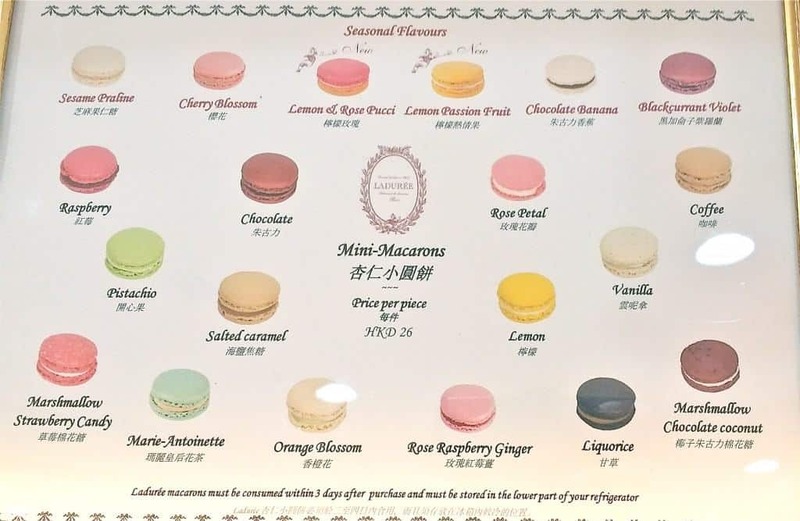 As you can see, most of their flavours are what you would normally expect from a macaron shop and most are on the sweet side. There isn’t any wildly inventive flavours like at Pierre Herme but I don’t think that hurts them in any way. That’s just who they are. One of the things I really wanted to check out at Laduree was the #nohollows situation. 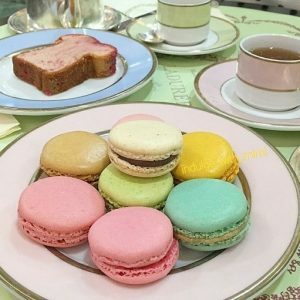 From most of the photos I have seen of Laduree macarons in the past, I know they usually have a gap between the foot and body or they have uneven sized air pockets in the feet. 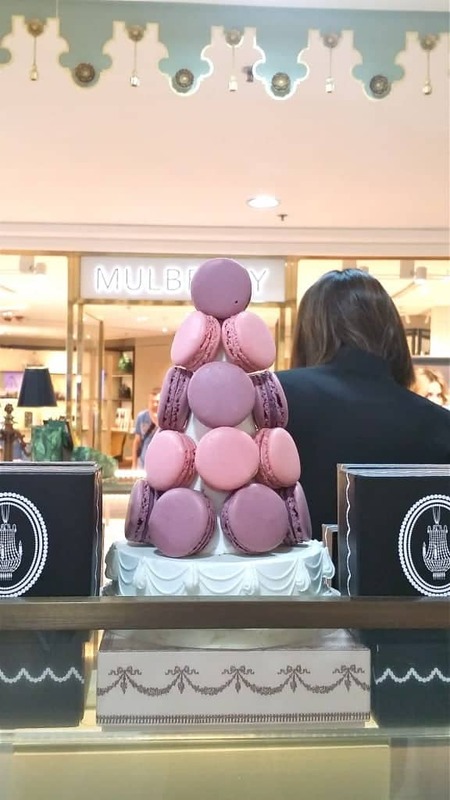 From seeing these two types of feet, I had long suspected that the macarons were not as full as the ones from Pierre Herme which consistently displayed ruffled feet. 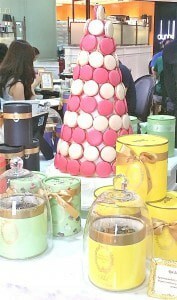 All the Laduree macarons we had that day had a similar inner body as this one shown above. It wasn’t hollow but they weren’t very full and had bigger air pockets inside here and there. The shell itself is crumbly and on the drier side. They make it so easy for you to take the entire Laduree experience home via their tea gift boxes, shiny pastel tote bags, affordable jams, whimsical keychains, bakery inspired candles and even perfume just to name a few. I was also pretty happy that I was able to take so many beautiful photos for you all. I must say that I took this for granted until I went to Pierre Herme and discovered that they had a no photo policy! Here, the staff even helped Bestie and I take some photos together too. It really adds something positive to the whole customer service experience. Ambience: Traditional French Elegance. It’s a small and somewhat informal space with tables facing the inner main court of the mall. Sweets: The macarons were so delightful. It was nice to try these iconic mac babies but I can honestly say that I can find similar macarons in taste and texture in my own hometown. 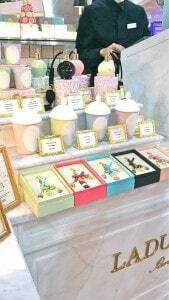 After purchasing a certain amount of macarons, you are allowed to choose a gift box for an added fee. Tea: Ample selection. I would highly recommend the Marie Antoinette black tea. Service: Very professional, well trained. Store policies also allowed customers to enjoy everything that is Laduree (surprisingly cannot say the same about the Pierre Herme stores). Extra paper bags were provided for our takeaways. Staff were on hand to help take photos and allowed photos to be taken of their merchandise. Macarons are flown in from Paris where they are made. Each are approximately $4 cnd and there is an extra fee for the giftbox. You don’t want to miss out on getting one as they cannot be sold separately and are great collectors items. Many are limited edition boxes featuring beautiful pop culture inspired artwork or are cross-promotions with other companies like Pucci and Mikimoto to name a few. Thank you for the review! 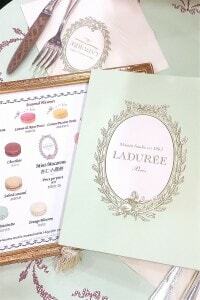 I plan to visit Laduree and Pierre Herme in Europe (I’m arriving tomorrow! :D). I like that you provided reviews on the macarons so I know which one to try and which one to avoid like the raspberry one. I don’t want to eat “purple medicine” macarons. The next time I visit HK, I plan to have afternoon tea there. I didn’t know there was a location there and thought it was all in France.